I recently purchased the Luminox Navy Seal Color mark Chronograph watch. I like the watch. The watch is light weight and very durable. The gas tube system glow blue and green at night. The watch is easy to set and has a lot of features. I would recommend this watch to anyone looking for a light weight durable watch. 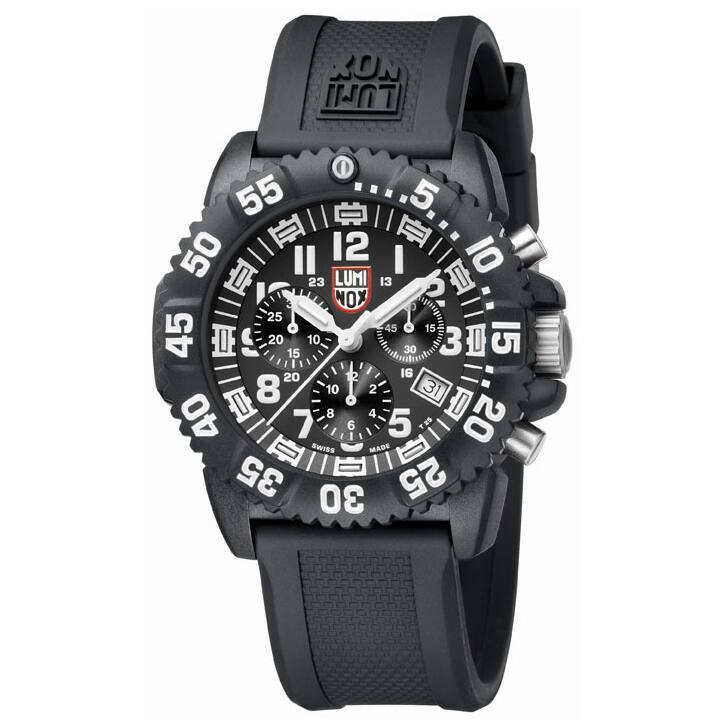 This Luminox watch is the ideal every-weekend watch that features a powerhouse of carbon-reinforced polymer casing and showcases bold, bright and easy-to-read numerals. The bezel features a luminous tracer dot for ease of viewing beneath the water. I bought this watch for my husband for Christmas (he is picky). Well I absolutely loved it and have bought this brand previously. Unfortunately, my husband just didn't like it for no specific reason other than he did not like it and I had to return it. Overstock was great with the return. Love my watch, i use it everyday. watch look good. but light not heavy at all. This is a great watch, wouldn't buy any other. 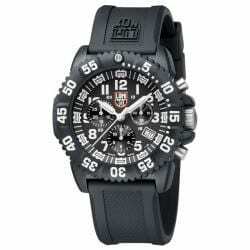 Had very good luck with Luminox watches in the past and I like tritium dials. "I want my watch to be an authentic Luminox but on the specs it says country of origin: China. This worries me." My information shows US manufacturing.